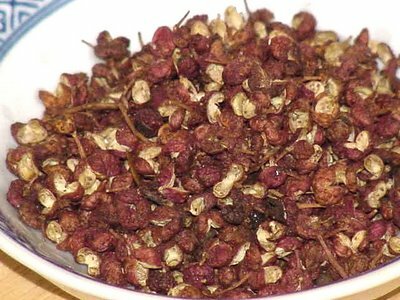 The Sichuan pepper is the dried fruit of the prickly ash tree and should not be confused with the black and white peppercorns that come from India. While the flavor is warm, it is not really spicy, and it is a major component of Chinese Five Spice Powder. 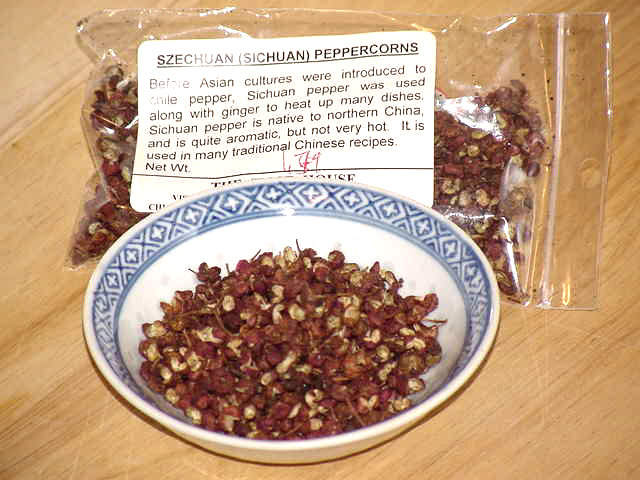 Until recently the Sichuan pepper was banned in the United States. A distant relative to citrus, there was concern that imported pepper might also bring a citrus canker that, while not dangerous to humans, would not be good for our domestic citrus crop. The ban was lifted in 2005 with the stipulation that any peppers brought into the country would be heated to around 160 degrees Fahrenheit before importation. And now it's time for a little confession. I'm not a huge fan of Chinese Five Spice powder, which is apparently the main use for these peppers. But I was curious about them, and they smell warm and woodsy, and I'm curious to see what they will do to chicken, fish and vegetables. To find out more about Sichuan peppers, check out my two favorite resources: Herbs & Spices: The Cook's Reference, and Gernot Katzer's Spice Pages. To buy them, go to my favorite Spice shop.